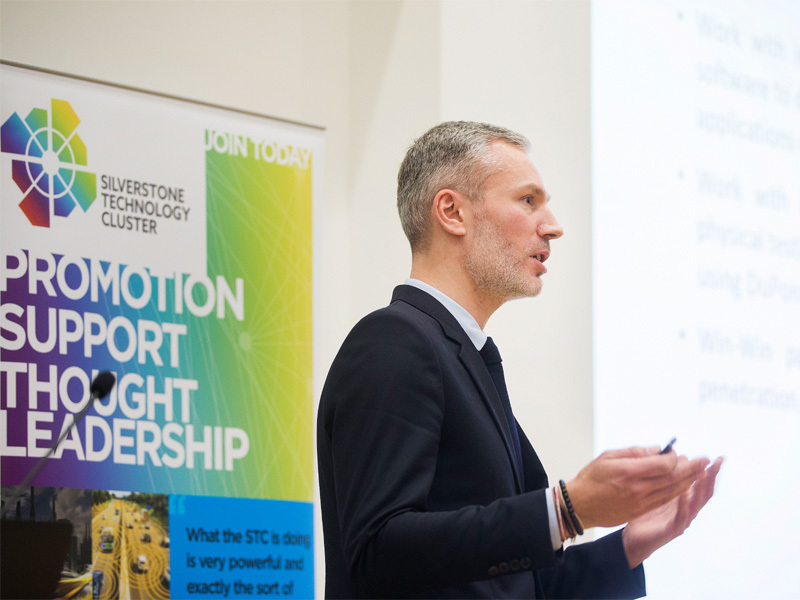 Leading figures from the worlds of engineering and business have praised the Silverstone Technology Cluster’s first Annual Conference for opening up a new world of opportunity for high-tech companies inside the region. 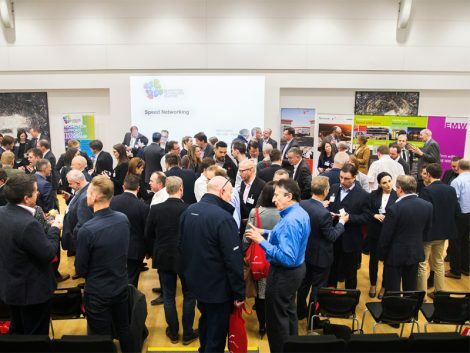 The Conference was held yesterday at Silverstone University Technology College and attracted close to 100 companies from the area, plus Heathrow Airport, DowDuPont, the ScaleUp Institute and both the Transport Systems and Satellite Applications Catapults. They highlighted areas in which Silverstone Technology Cluster (STC) companies could collaborate and benefit – these ranged from latest engineering projects to funding for growth. Companies located within the STC – Claytex, Delta Motorsport, KW Special Projects, RML Group and TotalSim – took to the stage to present their latest technologies and capabilities. A ‘speed-networking’ session further enabled the audience – including many individuals in senior high-tech roles – to rub shoulders, discuss ideas and exchange contact details. Heathrow’s Innovation Technologist Robin Gissing explained how the airport – one of the busiest in the world – could work with companies from within the STC to solve some of its own technical challenges. He commented: “Heathrow currently works with over 1,200 suppliers across the UK, many of whom are SMEs. This year, we are looking to go even further by opening up the Innovation Teams’ challenges to cutting edge start-ups and SMEs up and down the country. Dr Ron Oren, Principal Strategy Analyst for the TS Catapult, believed companies within the Cluster could help the UK to become a major player in the future of transport globally. He said: “Transport is on the verge of a profound change driven by new technologies and increasingly offering seamless services that are centred on users’ individual needs and preferences. The expertise on show at the Silverstone Technology Cluster Conference is a shining example of how well placed the UK is to capture a large share of this growth market. Irene Graham, CEO of the ScaleUp Institute, added: “Effective collaboration with established, large corporates makes a significant contribution to helping businesses scale up. It is vital that we break down the barriers that face scaling companies when they seek to access opportunities with larger corporates. Silverstone Technology Cluster launched in December 2016 to promote the region within an hour’s radius of Silverstone – identified in a high profile SQW report as being home to around 4,000 companies with exceptional capabilities in high-tech engineering and recognised by the UK government as having ‘latent potential’. Among its key agendas is attracting investment for companies with high growth ambitions. Its CEO Pim van Baarsen said: “Just 12 months after the STC was launched our very first annual conference has proven that the cluster is really working in terms of being able to promote the capabilities of the companies in such a way that it attracts speakers of the calibre we have seen today. MEPC’s Roz Bird, Commercial Director for Silverstone Park who sits on the STC Board, added: “The Conference has been full of firsts – our first annual conference, the first time we’ve heard from Heathrow and DowDuPont and the first time we’ve had both the Transport Systems and Satellite Applications Catapults in the same room, and all of them talking about the opportunities for companies in the STC. “It’s also the first time that the STC has talked about the growth agenda and how we plan to work with the ScaleUp Institute. “Companies in the STC have great potential. Many are mid-sized and have fantastic capabilities, so the STC wants to help these companies to bring forward their ambitious plans. This kind of success will only happen if we embrace the findings and the expertise of world class organisations such as the Scale-up Institute which is using detailed research and expertise to consider the formula for genuine business success.